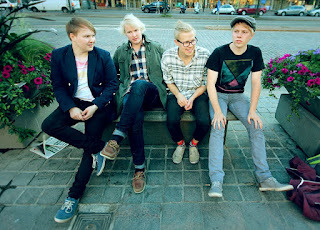 We interviewed this band last year; they are a very upbeat indie rock band a la Oulu, Finland. And today is a huge day for these talented guys as it is a release of a new single andddd a load of free mp3s! And here are remixes of said track! Either way enjoy! the album will be out September 21st.